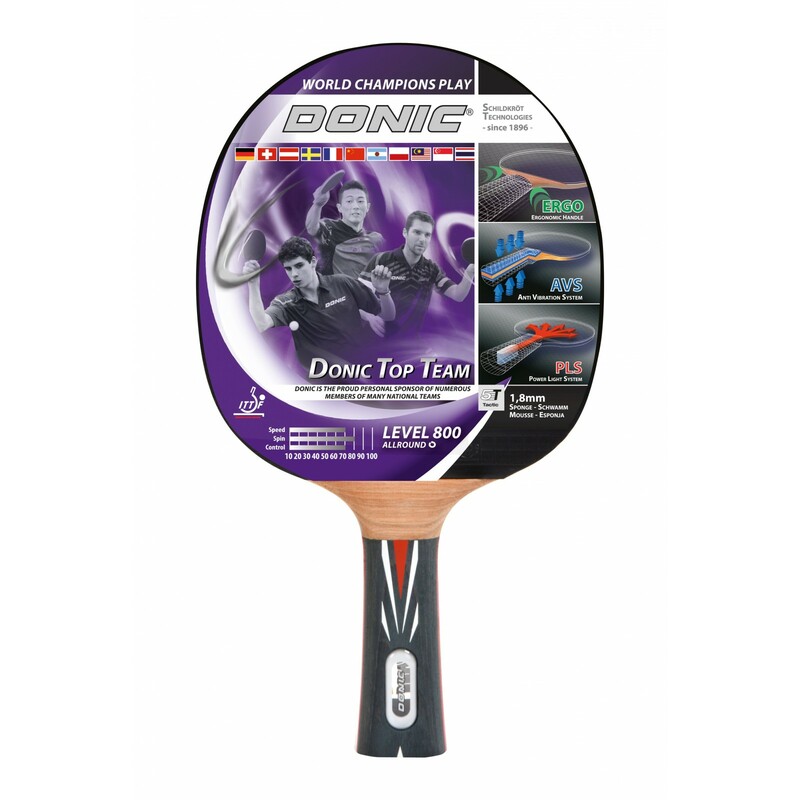 The Donic-Schildkröt TT bat Top Teams 800, concave is an ambitious bat, which is ideal for ambitious matches and quick play. The concave handle of the Power-Light-System makes the bat even lighter, offers more speed, and an excellent feel of the ball. The anti-vibration-system reduces vibrations for the bounce of a ball by means of two absorbing layers between blade and handle. The ergo handle (concave) of the Donic-Schildkröt TT bat Top Teams 800, concave adapts anatomically perfectly to the shape of the hand. The rounded down shape avoids pressure marks and offers a comfortable grip feeling. The Donic-Schildkröt TT bat Top Teams 800, concave is excellent for ambitious and quick players, who love to convince by their spin techniques and appreciate ball control. 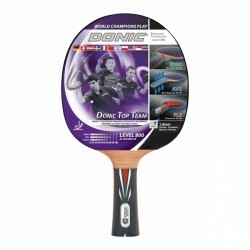 The Top Team Series is dedicated to national players of different countries, i.e., LI Ping (China); Martin Bratanov (Belgium), Kaspar Sternberg (Denmark).